Vitality Medical Center always appreciates feedback from our valued patients. To date, we’re thrilled to have collected 10 reviews with an average rating of 4.8 out of 5 stars. Please read what others are saying about Vitality Medical Center below, and as always, we would love to collect your feedback. Staff seemed caring and knowledgeable in the treatment arenas. The Font desk ladies are tentative and guided me to what I needed to know. Kris’s made my appointment And answered all my questions with a smile! Natalia was very thorough with her assessment and very informative about my overall health. This was the first time any Chiropractic center gave me too notch care starting with my general health check up. The Chiropractor was I tuned to my concerned and assessed my joint issues! I’m so pleased with how Dr Laila is running Vitality Medical Center. She has answered my questions prior via seminars and also as a walk in. I appreciate her knowledge and friendly positive outlook! 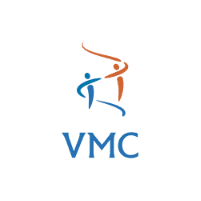 I will definitely refer my friends and family to VMC! Barely 50 minutes of bodywork, when paid for 60. That really irks me. The work itself was a good quality. But I had marked that my legs were sore, and she didn't even touch them. Maybe that 10 minutes could have been spent on my legs. And the constant sales pitches get annoying. I was satisfied, but just barely. I am a 66 yr old female who was forced to retire due to my chronic hand pain & hand deformities that made it impossible to type, use computer or even hold a pen to write for very long periods. I have suffered with Osteo Arthiritis in my hands & fingers for decades an had constant pain and very limited use of my hands, common everyday functions like opening a door, or even holding my toothbrush became a feat, I thought I was running out of time to live & enjoy my life, it felt as if my painful hands were turning to stone. My life made a complete 360 when I heard a small portion of a presentation Dr Laila at Vitality Medical Ctr gave, about Stem Cell injections along with chiropractic alignment to aid in allowing flow to areas restricted by arthiritis, but what won me over was their brochure.. seeing before and after exrays & how actual space was being formed between bones that were once hindered by arthiritis. (altho' skeptical), I had nothing to lose. I am glad I decided to "go for it!" I could not be more amazed, this was a total life changing decision for me, I can't believe the outcome!! This for me, was the best decision of my life! I feel giddy with anticipation, Altho' it's only been 5 weeks since my stem cell injections on my hand joints, I am totally surprised by the actual movement an realignment that's taking place, (I can even hear an occasional pop in my hands now.. like cracking of my knuckles, I hadn't heard that in years!) I'm verry excited with the movement I have now & know it's getting better an better every day! I feel very grateful to the complete team, They are so knowledgeable an caring. I've benefited so much from their advice, excercises, chiropractic care & physical therapy follow up.. I'm living proof! They are all together my "super heros". Dr Laila, Dr Nick, Dr Natalia, Vanessa & the welcoming office staff (always so pleasant & helpful), it feels like I'm visiting friends. I personally feel very humbled & grateful that it was just "by chance" that I heard a tail end of Dr Laila's presentation that day, like God gave a 2nd chance.. I could never Thank you enough for these results an I'm excited to see how much further I will go! Everything about my experience was excellent, from the welcoming knowledgeable staff!! The vibe of the office left you feeling happy and healthy! I would highly recommend to everyone. The staff was friendly and informative. My Therapist Rebecca was excellent in asking the right questions and in treating my shoulder pain. I left feeling extremely relaxed and satisfied with my treatment. I will definitely be back to see Rebecca again soon! One of the best massages I ever received!